It is the middle of February and I am desperately missing fresh, homegrown produce after this long winter. During the summer months I love making salsa with things that I grow in my garden and this week I got a craving for some fresh, homemade salsa. However the fact that my garden is currently under 10 inches of snow means that I need to look elsewhere. 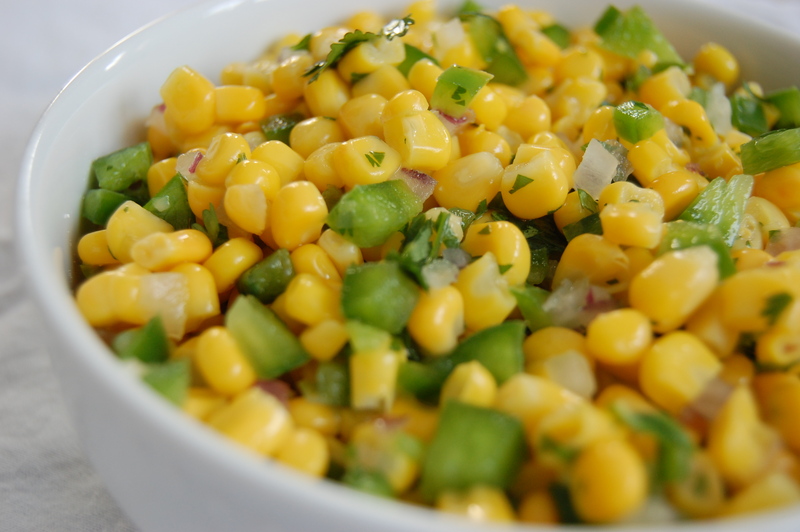 This corn salsa strays from a typical tomato based salsa, but it is full of flavors and tastes fresh from the garden. Just what I needed! Toss all of the ingredients together in a large mixing bowl. Add salt and pepper to taste. 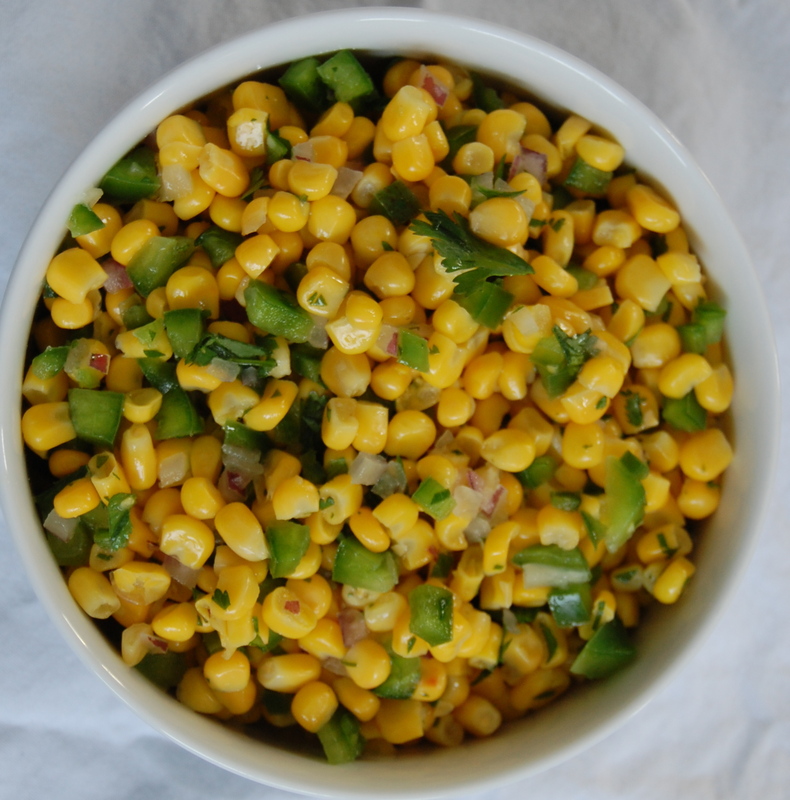 Eat with chips or use to top tacos, quesadillas or even a crunchy salad with chipotle ranch dressing. This looks and sounds SO delicious. 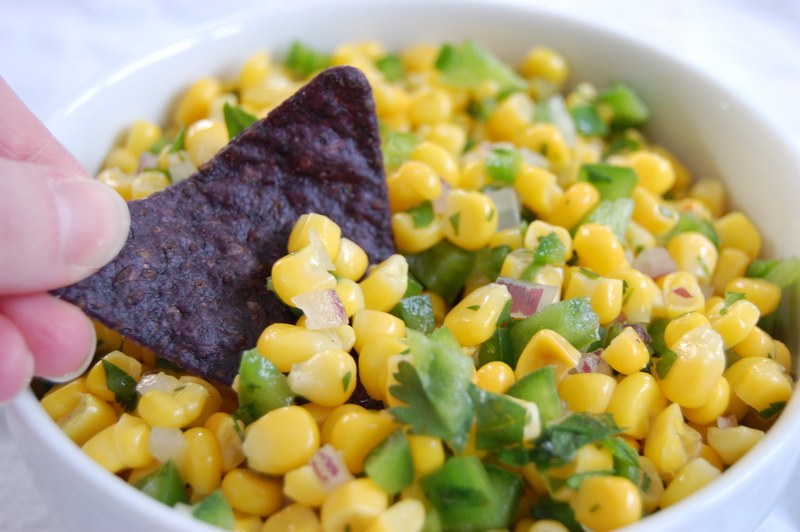 I’m one of those weirdos who prefers corn salsa to tomato-based salsa. And I love that this contains cilantro – I put it on everything. Literally, everything. I do this year round too. It gets better in the summer, but I love it even without fresh tomatoes. I’ve made this four times since this summer! My boyfriend loves it. I just made some for a party tomorrow. Thanks for the great recipe.